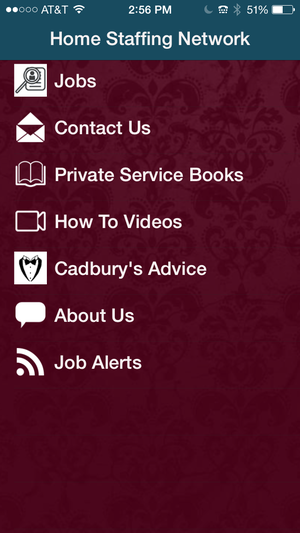 Choose from 30 different page styles so your mobile app design will engage your job applicants and customers. Pick from a variety of social feeds, calendars, video and music playlists. Add links to your favorite mobile friendly websites. 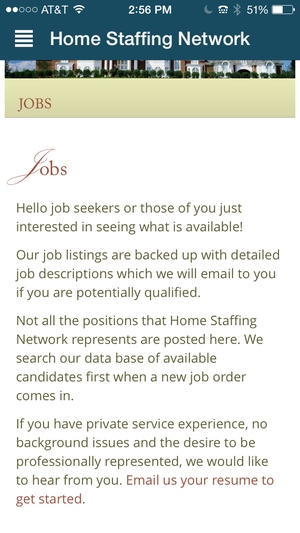 Your job applicants will be well informed with Informational Overview Pages, Event Pages, Sign-Up forms and more. If you are interested in working together, call or email.